For my first build, I liked the idea of a wooden boat and chose a kit from Scale Sailing: the Kittiwake K2. 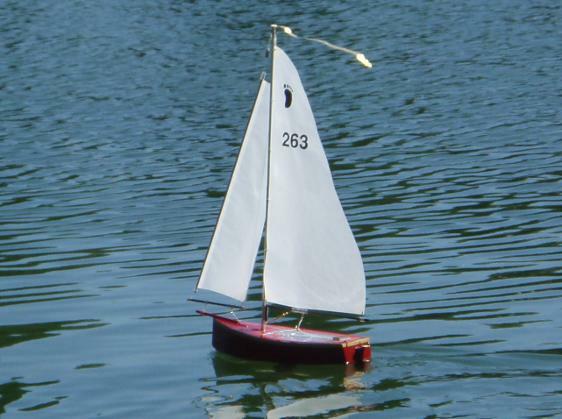 Scale Sailing kits include a foam core over which the birch plywood hull is built – greatly simplifying the process. As you’ll see, this condo-dweller lacks a workshop. Im proof positive that Scale Sailing kits can be built without one. Here’s a photo build log of the process. The beautiful custom vinyl transfer boat name was ordered from G-Scale Graphics – I heartily recommend them to all model builders. Some pics of “Crawdad” (and friends) under sail at the end (thanks, Greg!). Also, here’s a link to short YouTube video of Crawdad and other Footys at sail – also by Greg. Of my three Footys, Crawdad is by far the most stable and easiest to sail. This is a good choice for a first-time build.